Located in an old house of the main street of the old town of Murten / Morat, the restaurant Bistrottino serves meal inspired by the local and Italian cuisine with maybe the best pizzas in town. The menu of the restaurant Bistrottino in Murten offers a great variety of food ranging from the traditional bistro cuisine like Black Angus steak or fish from the Lake Murten associated with Italian specialties like pizza and home-made pasta that will be generously served. The little wine list offers wine from both the Lake Murten Area and Italy, featuring some well-known wineries of Tuscany like Ornellaia. Additionally, the Bistrottino gelateria will offer you more than 100 flavors of homemade ice creams produced according to the Italian art of gelato but with the milk and the cream from Gruyere. 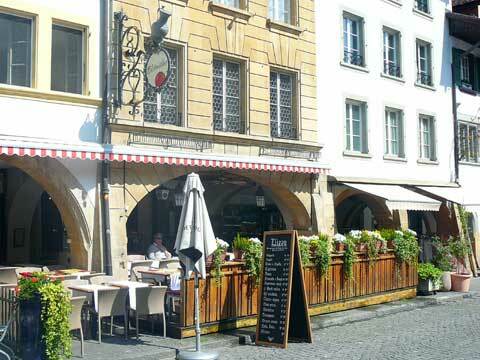 During the sunny days, you will enjoy the nice little terrace in the center of Murten. 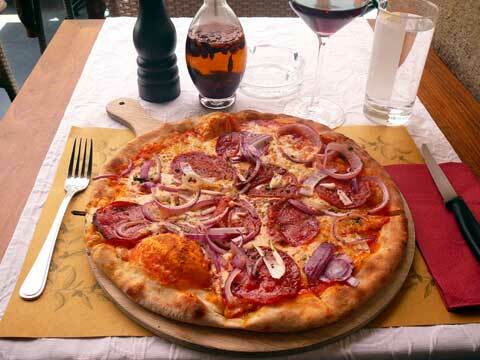 This is a standard pizzeria located in a touristic place. They don’t served the best pizzas in my life, but food was OK and service was nice. Been there, but the food and service of the Bistrottino didn’t make me want to go back again.